The Fiamma Motorhome F45 Privacy Room is sent on a 1-2 working day carrier!! What do I get with a Fiamma Privacy Room? Almost everything to provide you with extra living space for your motorhome! The Privacy room includes Fiamma’s unique ‘Clip System’. 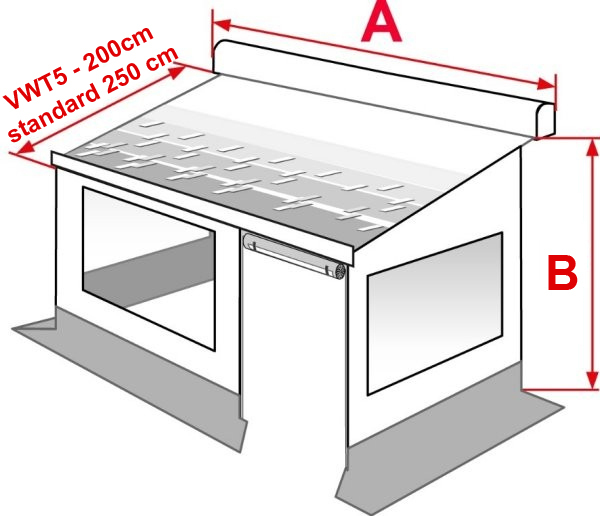 This enables a very quick yet strong assembly of the Fiamma F45 Privacy Room to your F45/F65 awning. In every box is the Clip System itself, Two side panels with a window in each one, A front panel which is fitted with a single large window and a plain single door. The windows can all be opened and rolled up like most caravan awnings and each has an insect mesh screen as well. The door can also be rolled up. The side panels have receptors already fitted at the top at the front to attach a Tie Down Kit. This is highly recommended, but not supplied. We also strongly recommend a ‘Skirt’ to cover the gap below the Motorhome floor and ensure a snug wind free room. Both the Skirt and Tie down can be purchased on our Fiamma accessory page. The 450, 500 and 550 size Rooms all include a door pole as standard, but the door pole can also be purchased for any other size rooms separately. Curtains are not included but can be purchased separately. The staff were friendly and helpful and GREAT discount.